Last month, we presented the 2nd webinar in a three-part series about developing and building out your data strategy – Navigate the tide: Master the flow of your client data. In the first webinar, we described establishing a client data platform (CDP) as the foundation for a strong data strategy. After data is consolidated into a single CDP, a strategy for handling data stewardship and for finding a balance between competing internal and industry views can be established. 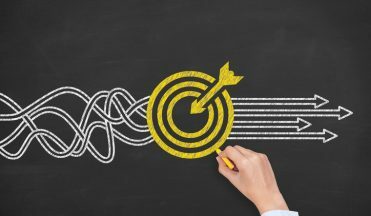 The second webinar dove into the details on mastering the data strategy matrix and trends in the marketplace. Check out this blog post to view clips from the webinar and request a link to the full recording. 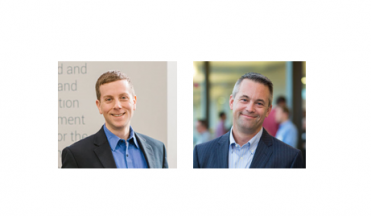 Last month, we presented a webinar in conjunction with On-Course Advisors’ CRM Forum about the challenges and complexity involved with leveraging the growing amount of third-party and proprietary data, and how a data strategy with a centralized Client Data Platform (CDP) can help. Request the webinar recording today and we'll send you a link! Data—are you riding the crest or drowning? If you're like most asset managers, you take in many external data sources to augment your existing internal data. Each of those data sources has different data elements, quality, granularity, and format. If you have an antiquated data strategy and ecosystem, getting to the point where you can really use this data to help you get insights and sell more effectively becomes both expensive and unnecessarily complex. What's the solution? 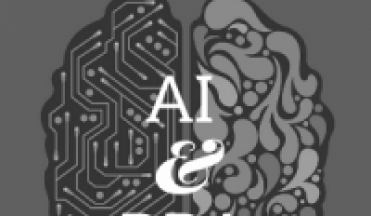 After a whirlwind of conferences this fall, I had a chance to flip through my notes and quickly identified one of the most-mentioned buzz words at CRM Forum, 2017 MMI Annual Conference, and MFEA Marketing Council: Artificial Intelligence (AI). I thought it would be worth exploring and sharing the common themes and highlights that resonated across these conferences. At last week’s CRM Forum, On Course Advisors showcased a panel of professionals from firms that serve the asset management industry. They shared perspectives on how to solve the data-centric challenges that arise with globalization. 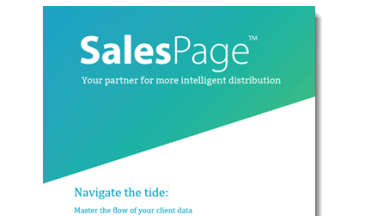 I’ve written a couple posts about how SalesPage can help you solve data challenges and distribute your products more intelligently by integrating with Salesforce and bringing data together with our MDM and CRM solutions in SalesPage Enterprise and Enterprise+. For my third and final post in this series, I’m going to share an example of how we’re helping small-to-medium size asset managers grow with our complete solution: SalesPage Pro. 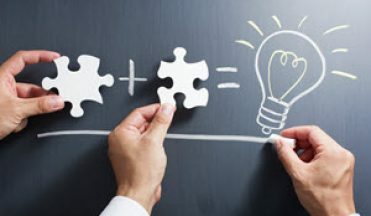 Last month, I shared a story about how SalesPage is helping one of your peers solve data challenges by integrating SalesPage with Salesforce. Today I’m focusing on big data, the challenges asset managers have with bringing it together, and how SalesPage can help with a master data management (MDM) solution integrated with asset management specific CRM. 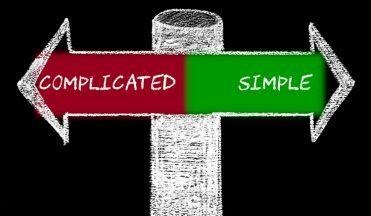 A couple of the major challenges with using Salesforce for retail distribution are that Salesforce’s architecture doesn’t fit the intermediary firm, office, and rep (FOR) structure, and Salesforce does not come with an engine to manage and process data. 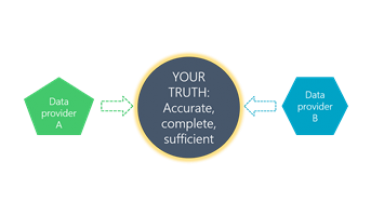 Let me tell you a story about how we helped a firm integrate Salesforce with our SalesPage Enterprise solution to create a single source of truth for their data. 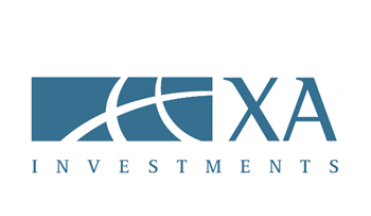 I am pleased to announce that XA Investments LLC, a Chicago-based firm, has joined the SalesPage client community. XAI offers customized solutions to the investor community, one of which is their proprietary Alternative Registered Trust (ART)TM Platform. The platform represents a differentiated approach to alternatives investing by offering institutional quality managers in vehicles that are specifically tailored to meet the needs of individual investors. XAI will be using SalesPage Pro as a tool to help build their business.